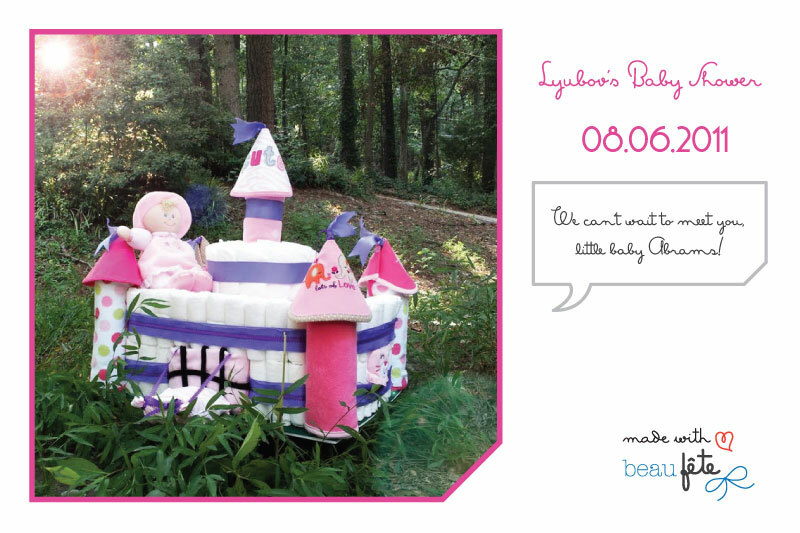 Corporate identity and marketing materials for an upscale party decoration boutique that specializes in baby showers and diaper cakes. 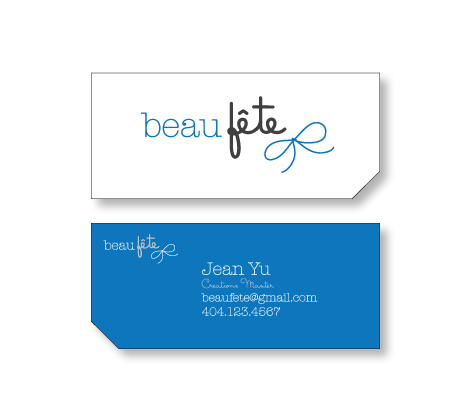 Design a brand identity that is refined yet youthful to match Beau Fete’s baby party products. Used typography and an icon to create an elegant yet fresh look to the logo. Mixed and matched straight forward serif font with a softer, warmer handwriting font to give a warm feel to the otherwise clean and refined style.